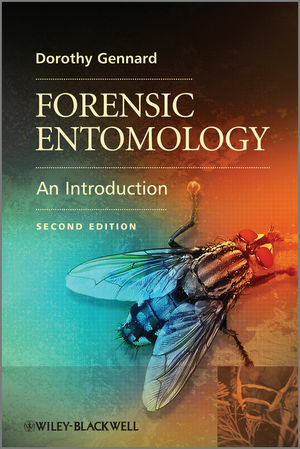 Forensic Entomology provides undergraduates with a concise introduction to the subject. The book is written with the clarity necessary for students starting out in entomology yet authoritative enough to prove useful for more experienced researchers. Worked examples of the necessary mathematics, including how to use excel to process data, coupled with lab protocols and self-assessment questions make the book an essential starting point in the subject. Assuming little prior knowledge of either biology or entomology the book provides information on identification, life cycles and ecology of insects presented in a forensic context. Information is conveyed in an accessible style with practical tasks and suggestions for further reading included in each chapter. Dr Dorothy Gennard is a principal lecturer in Forensic Science and co-ordinates the Forensic Entomology and Examination of Questioned Documents units. She is a member of the Royal Entomological Society and the World-Wide Dragonfly Association and a trustee of the British Dragonfly Society. Dr Gennard has close contact with the Lincolnshire Police Force and runs Forensic Entomology courses for the police and commercial forensic science companies.